Bathrooms may be the smallest rooms in the house, but they can have the greatest impact on daily living. Not only are they likely to be the most-used space in your house, the quality of their construction can have an effect on the integrity of your home. Done right, your new bathroom will function as well and look great; done wrong, it could be a source of headaches for a long while. Because poorly constructed bathrooms can lead to water intrusion, damage and mold, it’s important to have a top-quality contractor do the job. If you’re about to hire a bathroom remodeling contractor, the following tips can help you make the right choice. You may not need to provide a contractor with finished floor plans for your bathroom renovation project, but you should have very definite ideas about the room’s size, layout, fixtures and materials. 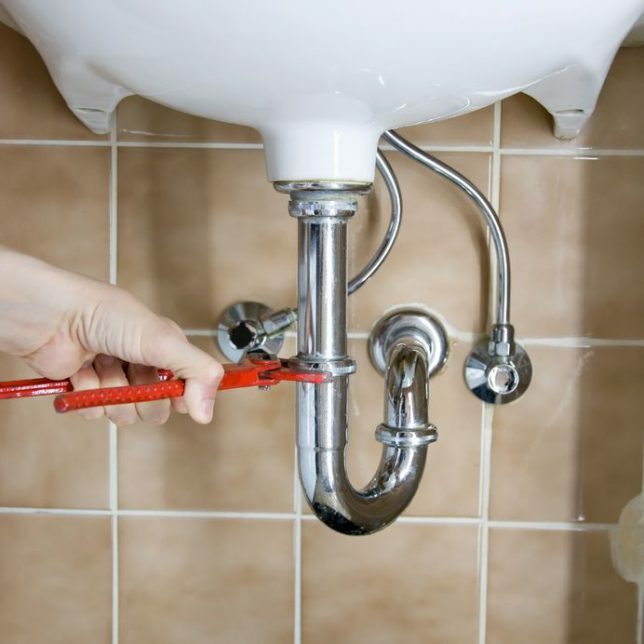 Potential contractors will need to know if your bathroom’s footprint is changing and whether plumbing and electrical lines will need to be moved or expanded. Being able to tell contractors what the finished product should be allows them to provide more accurate estimates, and giving each contractor the same specs allows you to more easily compare estimates. Verbal estimates won’t leave you any recourse if you run into problems with your contractor later. Get all estimates — preferably three — in writing. Read them carefully, ask questions and make sure it fully describes the work to be done. For accurate comparison of bids among multiple contractors, ask that the estimate include an itemization of labor and material costs, and profit margin. Proper licensing: Don’t rely on the contractor’s word alone that he or she meets all of the licensing requirements for your state, city and type of project. A bathroom renovation almost always involves plumbing and electrical work, which is usually well-regulated, so it’s critical to confirm a contractor’s qualifications. Proper insurance: Never work with a contractor who won’t provide proof of insurance. Once you have their information, verify that the contractor’s insurance policy is in full effect. Financial stability: Investigate the contractor’s standing with suppliers, your local Better Business Bureau, your state’s consumer protection agency, and subcontractors if you can. Ask if the contractor is willing to provide financial statements from his or her bank. This involves a lot of work, but can help you avoid disaster. Customer references: Make sure contractors provide you with several names of customers they’ve worked with on recent projects. Find out if those customers were satisfied and if they would hire the same contractor again. Contracts can be confusing, but your written agreement with a contractor is your best protection. Make sure you understand every aspect of your contract, from how subcontractors will be paid, to how change requests will be completed and billed. Your contract should also define what percentage of the total cost will be required as a deposit in order for work to begin, and how and when remaining payments will be made. In any case, you should never be asked to pay in cash or to put down more than about a third of the total cost as a downpayment. The final payment should not be made until all items on your punch list have been completed to your satisfaction. Need to check out a contractor? Contractor Connection has already done it for you. Making all the choices involved with the design and layout of your new bathroom is work enough without having to vet the qualifications of multiple bathroom renovation contractors. That’s why Contractor Connection matches you with a contractor who’s met our stringent requirements in order to be part of our network. Your contractor’s workmanship will be covered by a three-year warranty — the industry’s best — and our online tools let you keep up with your project’s progress every step of the way. Our matching service is free, so simply enter your ZIP code at the top of the page to be matched to a top-quality contractor in your area.